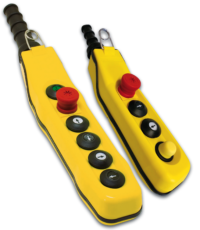 Push buttons pendant stations and joystick controllers – Ravioli S.p.A.
Ravioli production range also includes cable control devices, which represent ergonomic, resistant and flexible solutions for applications on cranes, hoists and other industrial lifting machinery. 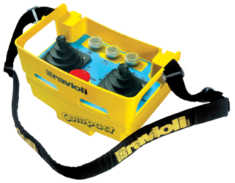 This section includes both versions with joystick – joystick controllers series Compact – and models with push buttons – Ravioli pendant stations series Lady. All these versions are extremely flexible according to the final applications and the customers’ needs and have been designed with an important focus on the handiness, which is especially required for heavy-duty usage.